Finally got my desired milestone of $1 million C-Bills. Then, decided these Mechwarrior posts needs some screenshots. Here is the normal position of the launcher – partly offscreen. A bit annoying. In game, a key thing to do was turn down graphics settings as well. It used high by default; but by skipping past medium and down to low, the game is much smoother and still plenty attractive for my tastes. And yet – I found no screenshot function. I’m apparently supposed to download Snagit or somesuch software to make them. I’ve been getting by with Paint and the native capture in Windows for so long, thanks to most games having a screenshot function, I’m not too excited about trying to find a safe (non-malwared) free alternative. So much for showing yall how the battles go. Most of the time my team lost horribly, but my aim is getting better. Targeting in this game feels like it’s made for the twitch generation though. I can lock onto a target – and get a kind of heads up display – but my shots don’t automatically go towards the enemy. I can do a “Fire all weapons”, which is not the best thing to use for heat reasons, or I can fire weapons individually if I can get my fingers on the right keys. This leads, instead, to button mashing and missing most shots. Add in the fact that you really have to lead your shots, and it’s a difficult thing as a keyboard player to play. In the meantime, I rack up World of Tanks matches still. Boy, trying to accumulate silver without a premium account is an exercise in frustration. I must have achieved it before by not really caring how much I was getting, but now, I want to hit the plateau and be ready to buy more tanks. I have two Tier 9 tanks now – the Jagdtiger and the VK4502P. I am ready to play the Jag, but will probably be forever waiting for enough free XP to play the “P”. Regardless, both tanks incur punishing credit losses, win or lose, with no premium. So just playing them and not worrying about it, isn’t a good option. Now, the KV-4 (Tier 8), that’s different – I don’t lose my shirt playing that. But that beast is definitely waiting until 8m credits are banked as well. For this reason, I think it’s time to play more mid tier games again. Accumulate credits and/or move up additional lines. If I wasn’t going to have an uncertain Christmas holiday I’d buy premium, but I think I’ll wait until after the new year. Got clued in about the statistics available for Mechwarrior Online – they’re only accessible through the forum. No kills. Around a 50% record. Gold = Mechwarrior Credits. Cost is $100 for 25,000 or $7 for 1,250, and points in between. Silver = C-Bills. Earned reliably by playing the trial mechs (at perhaps 70k per match like I’ve accomplished). Would be nice to see some of the other statistics, but then again it’s an open beta. For instance, you apparently get more money by doing kill assists. I had one game we won where I managed to tag along with other people and get potshots at mechs for a total of four assists. I was pretty proud of that, in my noobness. But apparently I’ll have to remember that happening and it won’t be memorialized for me. I also got introduced to being circle strafed to death. The game rewards you for getting into matches, and I’m not too invested; this leads to being not that serious about finishing the match. With me getting a “honeydo” at the same time the match started, I came back and found myself alone at the base for the “Caustic” map, and headed out. An enemy Jenner sneaked into the base and started capping, so I went ahead and engaged him. I just could not get my guns trained on this guy. He was too good at being fast and staying on my back. I moved around the obstacles as much as I could, back against the buildings, but I rarely got my weapons trained on him. Managed to do about 60 damage (which doesn’t sound like a lot. I really have no clue) before I finally went down. Our team tried to cap the enemy base so I know I was useful at least, but we lost with everyone killed. I’m trying out the “welcome” official forum. It’s rather unfriendly. This is not surprising given that we’re talking about gamers playing a giant robot game, but it doesn’t help you get invested if you stay clueless. In game requesting “How do I talk to team?” got me an “Alt-F4” along with the correct answer “y”. The font in the game is MISERABLE and too hard to read – after I had the right answer I was able to figure it out in game, but not before. But the proof in the pudding here is continued play. All I have to do is keep playing trial mechs and I WILL gain funds. Planning to try and get one million C-Bills which is about 7 games – should be pretty quick. I think I will stick with the Cataphract until I feel like I can move around and target, with a skill above that of a 3 year old toddler like I am at today. After deletion of Mechwarrior temporary files…… No change. Still wouldn’t start. Deletion of all recent files (December dated) however, fixed the problem. Go me ! I figured it out by scribbling on my blog. So I got in and started to play, finally. Managed three matches, and my highest damage total of 58 was in my first match. It appears that is pretty low. I got movement figured out by match #2, and Match 3 was following another mech to the enemy base capture point and starting to cap, but we lost. The starter mechs give you no experience at all, only money. I’m not really sure what it’s called, but it’s the silver one. After earning silver, I have perhaps 300k of it and I think I need about 2 million to buy my first “real” mech. Obviously, you’re meant to play the starter mechs first for many matches. The advice given in the tutorial suggests you ignore the light and assault mechs, and focus on the two mediums you are given. One is a missle based mech, and the other focuses on energy weapons. Since I barely know what I’m doing, I am going to focus on energy weapons and drive the Cataphract. That will be better for close in fighting if I remember anything about the tabletop Mechwarrior rules. I have two wins and one loss so far; it does not appear that the game gives you a way to view your record however. I’m thinking I’ll log in and play a few mechs on a daily basis. I should probably explore that “social” button I saw. Other than that, it somehow feels even more like a single player experience. And my intuition was right – the progression is almost exactly the same as World of Tanks. It’s really the lack of anything approaching a lobby. I don’t exactly have a lobby for MWO. I know there’s a garage – but it’s a tab off of a different “main page” which is begging me to buy stuff. I feel like I have a launcher page, especially since a cursory look shows me no way to maximize the screen – I have to play windowed. So it felt like launching a battle from a webpage – almost like playing a facebook game for crying out loud. Compare with World of Tanks, where I have a garage that everything outside of game is accessed from. Also did World of Tanks. Without premium, its a lot slower to accumulate credits. Even after several matches I “only” got about 40,000 credits perhaps, playing the Loltraker, the MS-1 and the Priest. That 40,000 xp for the M41 is a long way away, but I’ve accumulated 4k after a number of winning matches last night. Having exhausted my free premium time in World of Tanks, I decided I was being silly not investigating this completely installed game – Mechwarrior Online. So I fired it up only to discover that the patcher is failing. It tells me “Patching 1/2”, and then crashes after a few minutes. As is often the case, technology designed to automate and simplify really ruins things when it doesn’t work. I’m unsure what on earth I should do next. Waiting a day didn’t help, unfortunately. I’m unenthusiastic about uninstalling the game and redownloading it. It’s probably several gigs, which feels wasted. Perhaps, their support website will be helpful. Apparently, not. Their solution is reinstall the game. So I might try deleting temporary files at a minimum, but if it crashed in the middle of patching, it might be done unless I could delete the offending files. But I have no option to discover what might be causing the error – the patcher closes when crashing. Maybe I’ll just delete all recent files and see if it will redownload them. This cannot be good for the future of their game. Not able to get in, even once? And after all, when I reviewed the gameplay footage, it just felt like the same damn thing as World of Tanks. I’ll be thrown into a random battle, and need to kill all the enemy or capture their base. I fire weapons at enemy mechs and try not to overheat. One team or another wins. Do I really need another game with this same paradigm, and trying to grind up to better mechs ? I believe there were good reasons – Jury duty, getting a cold, intense work. 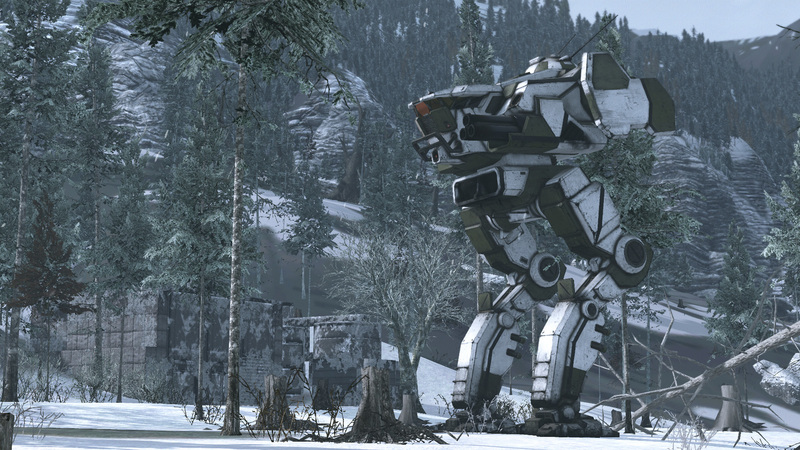 But whatever they were exactly, I still haven’t tried out Mechwarrior Online. I doubt I will be doing so over the weekend. Golden Joystick is active for World of Tanks, and nothing’s more satisfying than getting big XP. New British tanks are a big draw. And the thought of starting the learning curve on a new game seems more…. like work. I’m going to start learning a new software package monday, I don’t need two. Weird how what is supposed to be diversion can morph into something else entirely. There’s a lot of crossover with big software package work, and the meta game with any MMO or big game. Post bugs on forums. Track patches. Make developers understand what’s wrong. Maybe this isn’t exactly for fun all by itself…..
First heard about this at Z’s Blog. 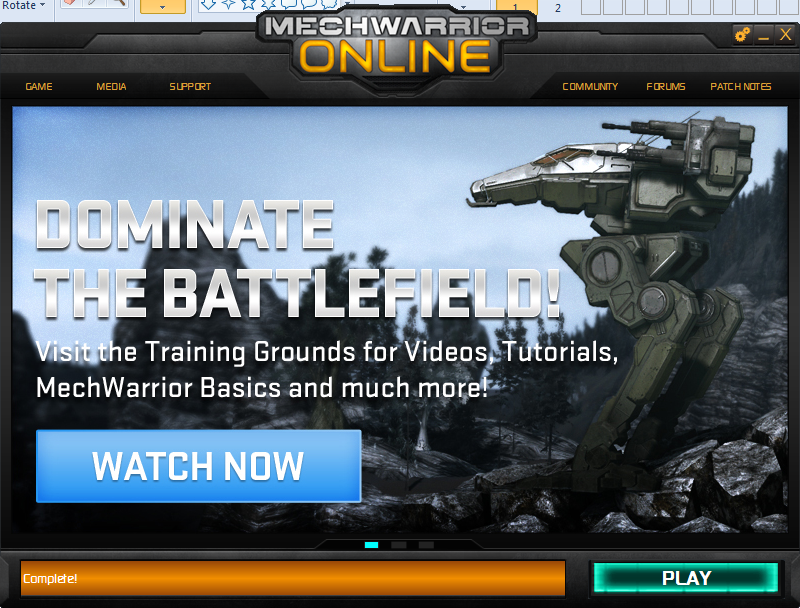 Mechwarrior Online is finally entering Open Beta. Apparently, this means the start of progression in the game world as there will be no more resets, even if the game isn’t at a final level of polish. Effectively, this is a launch. Monday, October 29th is D-day, although I can’t tell what time they’re opening the servers. I will without a doubt be checking this out, because battlemechs always have intrigued me, since way back in the ’90s when I got introduced to FASA games. From my limited understanding, it is a free game, with the freemium model of payments for things that are nice to haves, but one can be a freeloader with enough determination. That’s good. I’m usually a freeloader, although I’ve managed to blow $150 on World of Tanks because the game is very good. And without paying any money, MWO gets the chance to hook me and have me continue to play their game. On their website they have a big button reminding you to reserve your pilot name. Thankfully, my nym was available and is now reserved for me (MrrX). Now the only question is, when will I be able to get in ? The software doesn’t seem available for download at this time so I suppose I’ll check it on Monday evening.